However, jump to the present and we’re seeing a significant uptick — especially with youth. A 2013 survey found that 57 percent of American female university students reported episodes of “overwhelming anxiety.” And in the United Kingdom, the charity YouthNet discovered a third of young women — and one in ten young men — suffer from panic attacks. Marjorie Wallace, CEO of the charity Sane, believes that generation Y (those born in the 1980s and 1990s) is the age of desperation. “Growing up has always been difficult, but this sense of desperation? That’s new,” she says. Researchers at Mindlab International in the U.K. wanted to know what kind of music induces the greatest state of relaxation. The study involved having participants try to solve difficult puzzles — which inherently triggered a certain degree of stress — while connected to sensors. 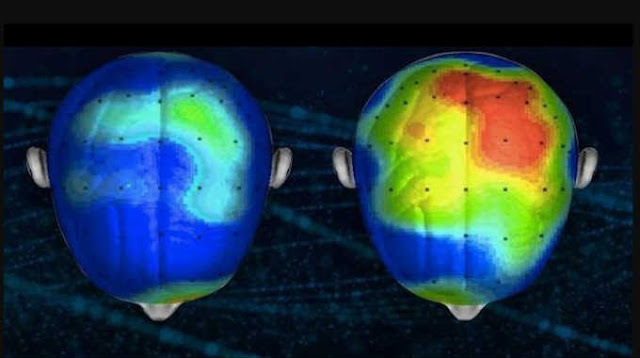 At the same time, participants listened to a range of songs as researchers measured their brain activity, heart rate, blood pressure and rate of breathing. What they found is that one song — “Weightless” — resulted in a striking 65 percent reduction inparticipants’ overall anxiety, and a 35 percent reduction in their usualphysiological resting rates. Interestingly, the song was specifically designed to induce this highly relaxed state. Created by Marconi Union, the musicians teamed up with sound therapists to carefully arrange harmonies, rhythms and bass lines, which in turn slow a listener’s heart rate and blood pressure, while also lowering stress hormones like cortisol.